The COMBAT MAXUM Fastpitch Softball Bat is for the players who are ready to take on more. Known as the bats with the longest barrels, the MAXUM also delivers ultra-fast swing weights. With the lowest swing weight ever offered in the MAXUM fastpitch lineup, you will be quicker to the ball with more control resulting in more confidence at the plate. Add in the MAXUM sweet spot that has up to 40% more hitting surface in comparison to previous models and you will notice a significant difference in plate coverage against any pitcher out there. Each MAXUM fastpitch softball bat is superbly crafted with a seamless construction. A carbon-fiber sleeve runs the length of the softball bat providing uniform strength for a fine-tuned performance day in and day out. Unlike typical composite bats that are created by rolling or overlapping layers of material, the MAXUM is produced with advanced Precision Molding Technology (PMT). The PMT process injects liquid resin into seamless high-quality carbon sleeves under extreme pressure. The result is an ultra-consistent product that eliminates seams and weak points that you get with the traditional process. No seams means no dead spots and in on the hands doesn't have to mean out at first base. COMBAT: Measure Up To MAXUM! This COMBAT Maxum Fastpitch Softball Bat (FP7MX114) is a two-piece composite design that features a -14 length to weight ratio, a 2 1/4 inch barrel diameter, and a Lizard Skins Grip for enhanced comfort and reduced vibration. Also, this MAXUM is approved for play in ASA. Last, but not least, COMBAT is backing each model with a full twelve (12) month manufacturer's warranty and a 30 Day Performance Guarantee. If you are not satisfied with your MAXUM within 30 days from your purchase date, you may return it for a full refund or exchange. Order your COMBAT MAXUM Fastpitch Softball Bat today with fast, free shipping! We're here for you from Click To Hit! Pros: Perfect bat for my daughter who is just starting 6U softball - I haven't found a softball bat length with this amount of drop in any box store. The price is very reasonable. Colors are great. Pros: Great look, great feel, and good pop. Cons: First use at the batting case cracked the bat. It was the first ever use of the bat. Pros: lite,lite,lite my middle girl was having a hard time get the head of bat out . We Had a 28/16.5 and 27/16 boy dose this bat make it all better the drop allows her to put the bat in the strike zone and still have push for her little size (40lbs) . now them infield outs or sharp hit liner over short stop . Thanks just bats and combats for thinking of the smallest of players!! Cons: just broke it it in so done now hope it last cause at this price if she breaks it im ordering to more ..
Pros: Needed a light bat for my daughter. She is small and needed a light bat to keep her balance. Working great! Cons: Busted the bat after two weeks of use. My daughter is 6 and is an average player. She is not big and powerful, she is 6 years old and 49 lbs. Great bat with with poor durability. Pros: love the drop 14 weight. my 6 yr olddaughter is on the smaller side but we moved her up to 8U and we were worried about her being able to hit the speeds but she got a hit in her 1st AB!!! Pros: Awesome pop. My daughter is 7, very small kid and can't swing the typical 28'' -11 bats that the other kids in tournament ball swing. But she can smash the ball with this bat. Cons: It will crack if hit on the handle or the very end. We had 6 on my team and they all cracked with in 1 to 2 tournaments. With the manufacturers warranty and just bats customer service I went ahead and ordered 5 more and try to get through with them. Pros: Very light bat with tremendous pop. perfect for my 65 lb daughter who plays 10U travel ball. I was putting them over the fence without trying. Not end loaded which is difficult for younger girls to swing. Very balanced. Cons: Had to send it in as it broke after 6 months of use. not sure how it broke but would have replaced with the same bat but they disnt have it anymore. Pros: lightweight for my 7 year old. She was able to hit with it very well. Cons: It will not last! She had the first one for less than a month and it completely broke in half when she hit a ball. Second one only lasted a little over a week and cracked in a game. Cons: Cracked after less than a month of use. The bat is cheap for a reason. Pros: I have a very small 7 year old and this was about the only composite bat we could find in a 26"
Cons: This bat did not last long at all one good hit and it busted all the way around and because they do not make them now they can only replace it with and aluminum Easton bat! Pros: Lightweight for my 6 year old to swing. Cons: only used a hanful of times and the bat cracked! Pros: The lizard skin grip. Cons: My 7 year old daughter broke this bat in half in less than 2 months. She used it in 11 games and roughly 6-8 practices. Less than a 100 hits. If a 7 year old can shatter this bat then its junk!!!!! Pros: Amazing Pop!!! Little Girls can hit big! Cons: My 7 year old didn't make it 6 games with this bat. I knew it would break from other review so she only used it in game play thinking it would make the whole season. Terrible durability. Though it did fly when hit. Pros: It worked well for my 10 year old. Light weight, nice looking bat. She hit fairly well with it. Cons: We just started a new season and the bat is cracked. That stinks as now I have to purchase another one. 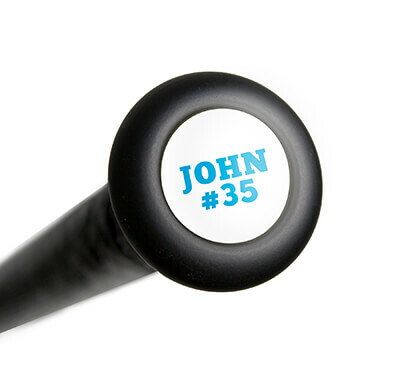 Cons: I purchased one of these bats and it has massive cracks down the barrel with very little use from my 7 year old. We also know of two other players which purchased this bat and have had the same issue with barrel cracking. Would not purchase this bat again. Complete waste of money! Have a question about the COMBAT Maxum -14 Fastpitch Softball Bat: FP7MX114? Ask our team of experts and they will respond within 24 hours. What is the BPF of this bat? Unfortunately, the 2017 COMBAT Maxum -14 Fastpitch Softball Bat: FP7MX114 does not have a BPF rating since it is just ASA certified. Is this bat certified for Babe Ruth softball? This bat doesn't seem to be listed under the illegal bats for Babe Ruth softball, so it should be legal. For more detailed information you should ask your league commissioner. My daughter is almost 8, 48" tall and around 50 pounds. Which bat size is best for her? Based on her height and weight, we recommend a 26" 2017 COMBAT Maxum -14 Fastpitch Softball Bat (FP7MX114). Can this bat be used for USSSA? Unfortunately, the 2017 COMBAT Maxum -14 Fastpitch Softball Bat (FP7MX114) only features the ASA stamp. 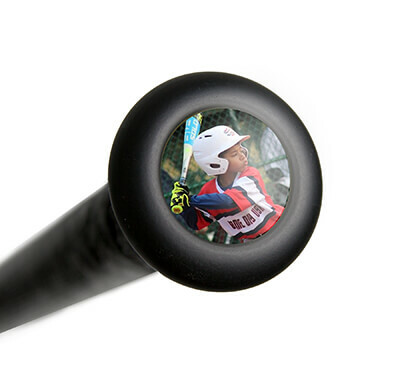 This bat would not be approved for play in USSSA. Does this bat meet intramural requirements? Have the official softball stamp and ASA stamp? I would not recommend this 2017 COMBAT Maxum -14 Fastpitch Softball Bat (FP7MX114) bat for intramural slowpitch play as it is a fastpitch bat. It will say "Official Softball", but it does not have the ASA stamp that is needed for slowpitch softball (ASA stamp for fastpitch and slowpitch are different). Does the 27 in 13 oz bat have a USSSA stamp? The 2017 COMBAT Maxum -14 Fastpitch Softball Bat: FP7MX114 will only feature the ASA certification stamp. Can this bat be used in Pony Shetland 6U? Since the Shetland Division appears to be T-Ball, I believe that this 2017 COMBAT Maxum -14 Fastpitch Softball Bat (FP7MX114) would be okay for use. However, to be safe, I might recommend asking the league if it will be permitted as it is a fastpitch bat and only features an ASA certification stamp on it. I am looking for this bat but in a size 28" or 29" for fast pitch softball. Where can I purchase it? We do not have any available for purchase, and we are not aware of the inventory levels of other vendors unfortunately. Your best bet would probably be Ebay, Craigslist, or another site such as that where used items are often sold. Thank you very much and I look forward to doing business with your company in the future. You really look out for your customers.